From the moment my babies were born my mothering instinct kicked in, and all I wanted to do was protect those precious pink bundles. Even now that they've grown up and are no longer tiny newborns, I haven't lost that feeling. I know that there are soo many things that I can't protect them from. 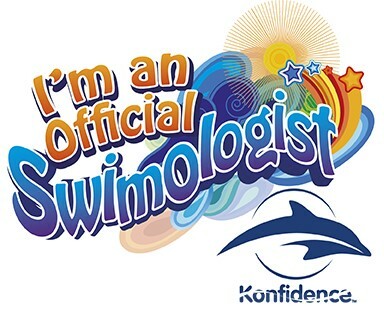 But something I am in control of are the products I use on their delicate skin. 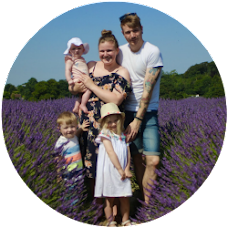 Of course finding a bargain during the weekly shop can tempt me to try something new - little ones are expensive after all, but as our youngest Parker suffers from sensitive skin and eczema flare ups, we do always try our best to choose the most suitable products. 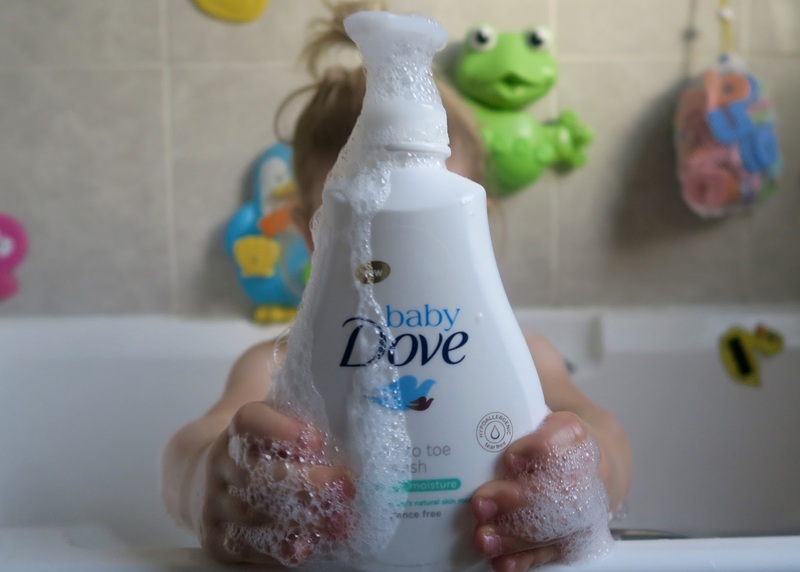 So when I was asked if I wanted to try some of the new Baby Dove baby care products, I jumped at the chance! 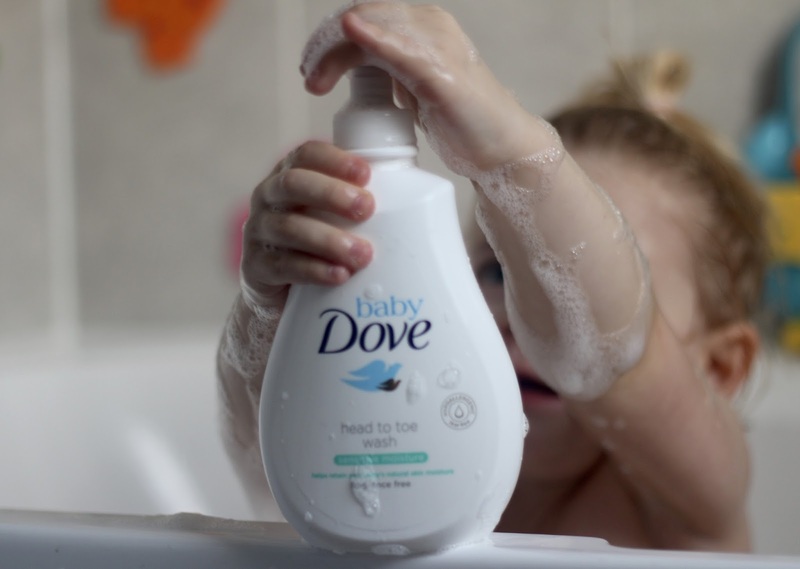 Building on Dove's 60 year heritage of moisture, mildness and gentle care, the Baby Dove range has been specially formulated to go beyond mildness. 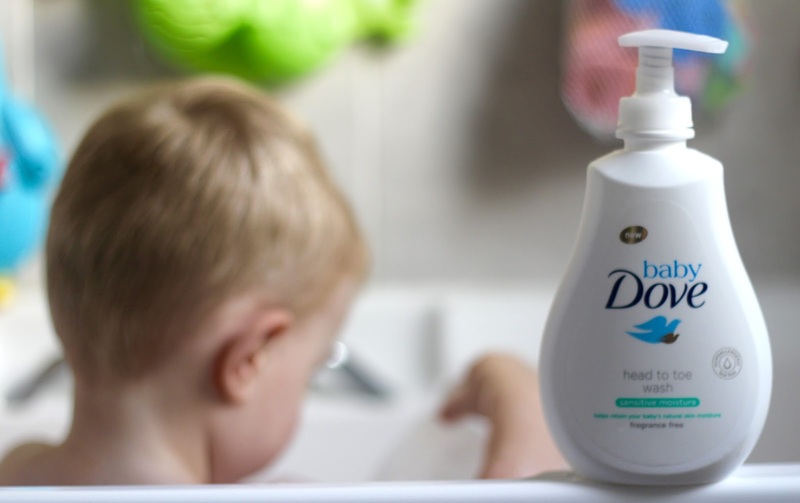 It helps replenish essential moisture and puts nutrients back into your baby's skin, and is so gentle it's been paediatrically approved to use on newborns as often as every wash.
Baby Dove is available in two dermatologically tested ranges. The Rich Moisture range consists of head to toe wash, baby bar (just like the Dove beauty bar we know and love), shampoo, lotion, nappy cream and baby wipes. The 'hugs and kisses' fragrance throughout the range is oh so lovely. I'm sure most parents will agree that there's nothing better than the smell of a freshly washed baby, and this fragrance doesn't disappoint. The Sensitive Moisture range has been specially created for baby's with more sensitive skin. The range includes head to toe wash, lotion and baby wipes - all of which are fragrance free and gentle on delicate skin. As we enter the colder months, it's become even more important that we use suitable products on Parker's skin. The Sensitive Moisture head to toe wash has been lovely and gentle on his skin. It still foams up and creates plenty of bubbles, which is fab as I know a lot of gentler washes don't. Plus both little ones have loved the novelty of the pump! Despite being 2 and 4, lotion after a bath is still a key part of our routine with the littles. 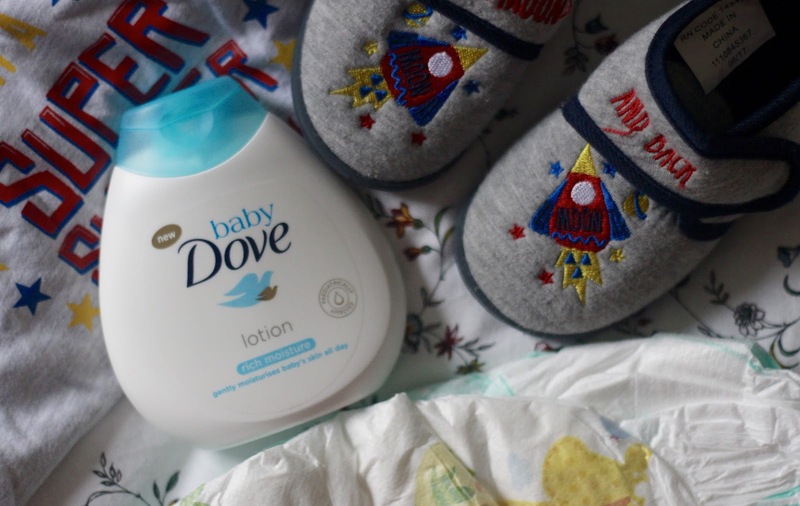 We've been using the Rich Moisture lotion on both of them, as although it's not fragrance free it is still dermatologically approved and paediatrically tested and the Head To Toe Wash is also pH neutral, so I've trusted it on Parker's skin. Not only has it left them smelling beautifully baby fresh, but their skin wonderfully soft too. Dove has always been a brand that I've known and trusted, so I think it's wonderful that they've created a range for little ones too. 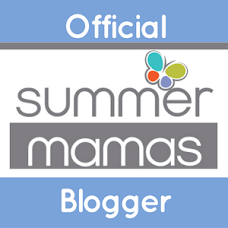 We've loved using the products, and I cannot wait to try them on a newborn once our third little bundle joins us in January! Baby Dove is available in store and online now at all major retailers.